Father, we know you have blessed Bishop Steinbock and will cover and comfort him always. We thank You for blessing us with Bishop Steinbock, Your good and humble servant. 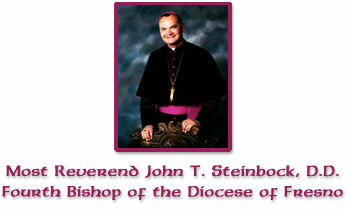 Bishop John Steinbock has been hospitalized in critical, but stable condition. A spokesperson for Saint Agnes Medical Center. Overcoming our feelings…. a sure method!